These videos were filmed at past Repair Cafés at various locations. Watch and listen to visitors speak of their experience. Meet fixers who share their insights and advice about repair work, and talk about their favourite tools. 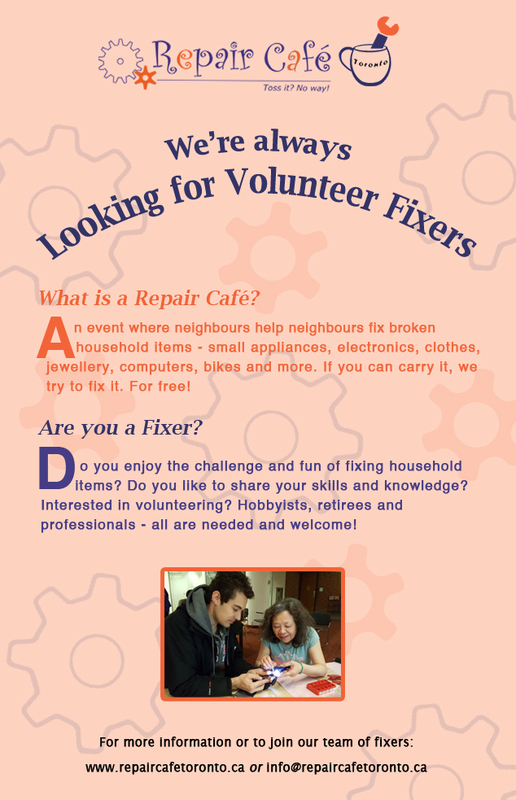 The video below was created to mark the first year anniversary of Repair Café Toronto.